We’re at it again for another round of playlists inspired by our favorite interiors. 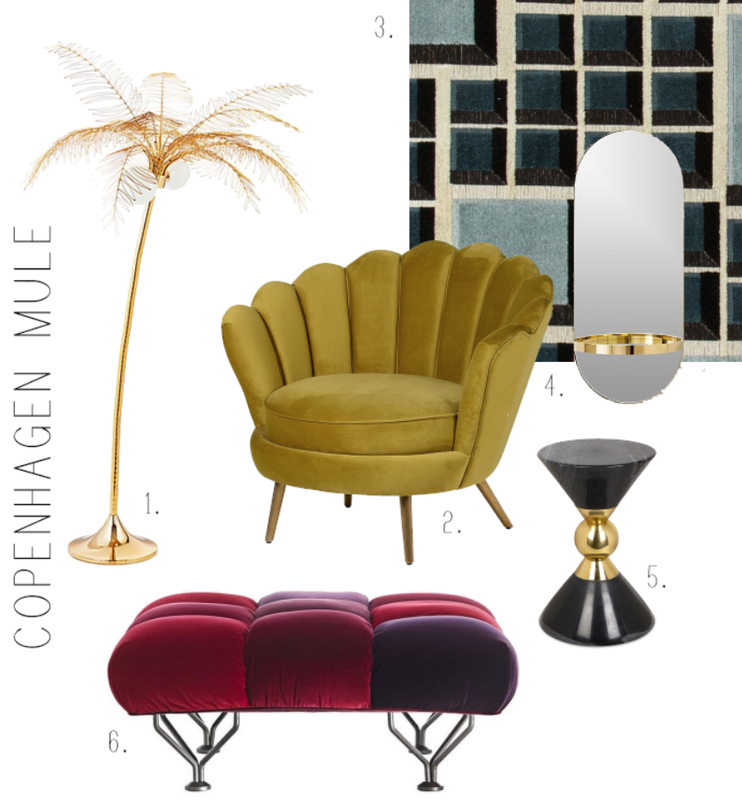 If you missed the last one, be sure to pop over to Copenhagen Mule. I’ve partnered again with my favorite music renegade and BFF, Andrew Oliver. 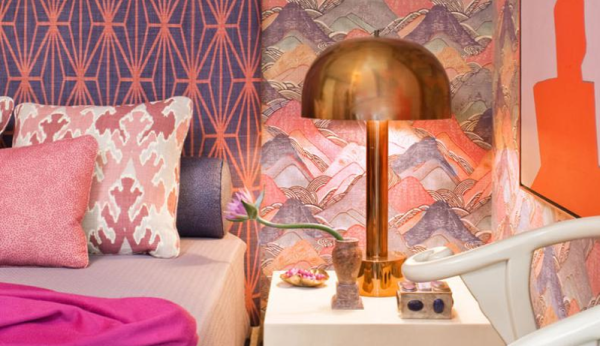 This time, we’re back just in time for Cupid to make his debut with tunes inspired by this funky bedroom by Kelly Wearstler! If you don’t know me, here’s a fun fact: I’m obsessed with Kelly’s work. I’ve been a long time fan of her use of color, pattern, texture, shape, and pretty much anything she even glances at. When I saw this Beverly Hills guest house she remodeled, I knew it was going to be the perfect fit for our February select. This time we’re staying parked right here in Sunny Los Angeles, but have a playlist inspired by and fun and romantic staycation. As with the last design, this is a little bit disco so this playlist is perfect for jumping on the bed, laughing out loud, mixing up a love potion, then finally crashing into your high thread count sheets! In a small saucepan, bring the blackberried, water and sugar to a boil. Turn to low and let simmer for 10 minutes. Strain blackberries and let syrup cool. Add 2 tbsp. of syrup to the bottom of each glass. Top with champagne, gin and add in a sprig of thyme and 2 blackberries! One of my favorite things to do when designing is to think about how your senses will be affected in a space. Not only what it looks like...but how does it smell? What does it feel like? What is the soundtrack to the space? This got me thinking - how can a design inspire music and vice versa? Long gone are my days scouring the internet for music blogs with the latest and greatest. Cue, my best friend and collaborator, Andrew Oliver.. Andrew is a non-profit professional by day and an undercover music renegade by night. This man knows how to curate the perfect playlist! Since we’re always on the hunt for design and new music we figured we should marry the two. Together, we bring you the first of our monthly playlists influenced by the concepts and style of spaces that inspire us! 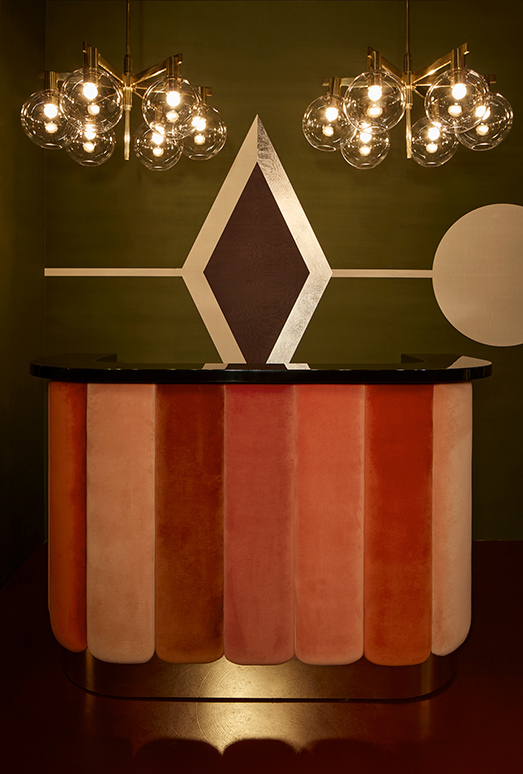 First up we have a stunning design by visionary India Mahdavi. While she might have created Chez Nina for Milan Design Week at legendary gallery Nilufar, we were transported to a Copenhagen inspired club with some serious disco vibes. So sit back, relax, start the playlist from the beginning and pour yourself a Copenhagen Mule. Oh and shop pieces inspired by this outrageous style!